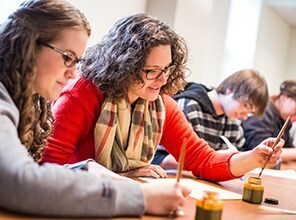 The Literary Studies program trains you to read critically, respond incisively, and write with discernment about the complex worlds depicted in a variety of texts and genres. In addition to canonical works from the Anglo-American traditions, you'll be exposed to specific historical eras and geographical settings. You'll explore familiar literary terrains such as Hawthorne's New England or Virginia Woolf's London, as well as unfamiliar worlds like Anita Desai's India or Ngugi wa Thiongo's Kenya. 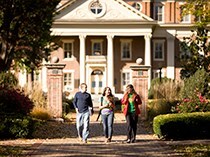 In addition to preparing you for graduate work in literary studies or for careers in education, the literary studies major will prepare you for work in fields where clear communication and sharp analytical skills are in high demand, such as business, law and publishing. 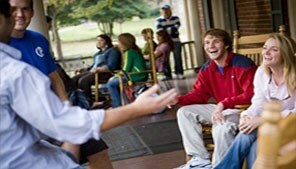 We offer both a major and a minor in literary studies. 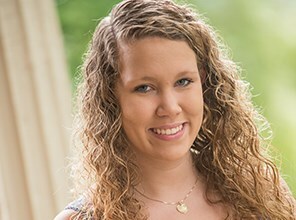 Erin Keating’s love of Shakespeare and creative writing has taken her to the Globe Theatre and the Smithsonian during her time at Roanoke College. Jessica Compton has received the Rotary Skelton/Jones Scholarship. This scholarship, offered by Rotary International, a service organization with programs that span the globe, funds a year of graduate study abroad at a university of Compton's choice. Compton, a Literary Studies major from Mount Pleasant, S.C., is considering graduate schools located in New Zealand. She intends to earn her master's degree in teaching and learning. Literary Studies students hone the skills of literary analysis, research and writing as they engage with primary texts and secondary criticism. After interning as a dramaturge, backstage manager and line caller, Madison Little '18 knows one thing - She was made for the theater. 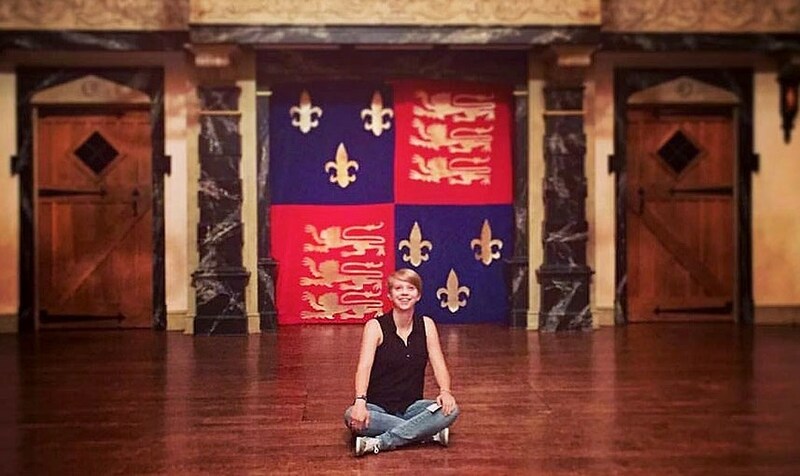 Little, a creative writing and literary studies major at Roanoke, landed a summer internship and a spring semester gig with American Shakespeare Center's Blackfriars Playhouse in Staunton, Virginia. Until her internship, she never thought about using her love of writing and storytelling on stage. "I really like watching it [Shakespeare] come to life," said Little, a member of the College's improv club who plans to study Shakespeare and performance after Roanoke. "I like seeing how the story threads come together." 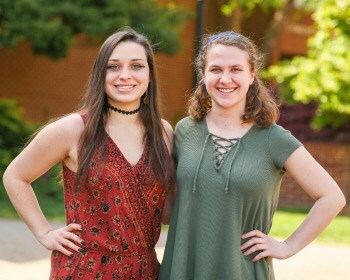 Rising sophomore Casey Wilson and rising junior Jenna Novosel have been selected by the US-UK Fulbright Commission to experience the UK through the Fulbright Summer Institute. 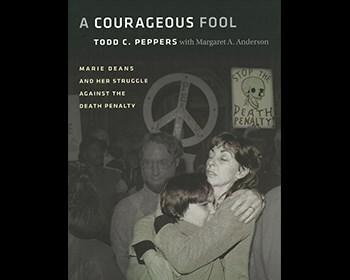 A professor and student join forces to pen a book about an unsung hero in the battle to abolish capital punishment. The Carnegie Foundation for the Advancement of Teaching and the Council for Advancement and Support of Education have named Dr. Paul Hanstedt, professor of English at Roanoke College, as the 2014 Virginia Professor of the Year. 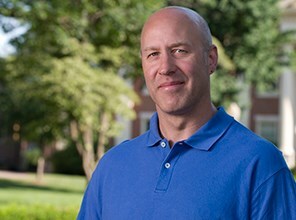 Hanstedt was selected from nearly 400 top professors in the United States. "We are not surprised to learn that once again, Dr. Paul Hanstedt has been recognized for his teaching," Roanoke College President Michael C. Maxey said. "We are not surprised by this because we've known for years how engaged Dr. Hanstedt is with his students. He truly cares about his students and about the craft of teaching." A visit to Cambodia during a May Term travel writing course was the first time that Roanoke College student Courtney Vaughan '15 ventured outside of the United States. The experience sparked her interest in Southeast Asia. As a result, the literary studies major landed a grant through the Fulbright English Teaching Assistant Program to teach English in Laos for a year. "There's something intriguing about Southeastern culture," said Vaughan, a member of the College's Honors Program and a Writing Center tutor. She is considering a career teaching English as a Second Language. 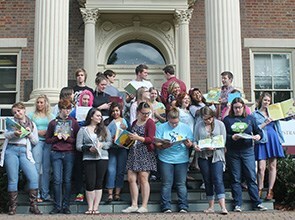 Roanoke's contemporary children's literature class is teaming up with the Roanoke Public Library and Star City Reads to address the growing literacy issues in the county. The students have organized a drive to collect children's books for Roanoke's Books on Buses literacy program. "I just want other kids to share the same passion for reading that I have had since I was a little girl," student organizer Tabitha Tutwiler '18 said. "If I can put one book in the hands of an eager child, I've succeeded. Although, I'd love to collect hundreds of books!" "Childhood literacy is a serious issue in our country, and access to books has everything to do with that," said Mary Hill '91, who teaches children's literature. "By collecting books for Roanoke's Books on Buses program, students can reach out to the children in our community who need books the most."